The Preserve Golf Club offers an 18-hole championship course designed by architect Thomas Fazio, and opened in 2000. 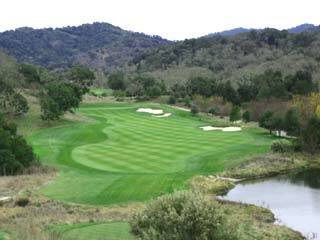 Located on the southern ridge of Carmel Valley in the Santa Lucia Preserve, this course sits deep in the wilderness, miles away from everything. The Santa Lucia Mountains offer wonderful vistas of the natural terrain featuring mature oaks, grassy meadows and streams flowing to ponds. Weaving through a very exclusive real estate development the Preserve Golf Club mirrors the contours of the natural terrain among the hills and valleys, captivating golfers with it's exquisite ambiance. The low amount of play coupled with the army of greens keepers makes for an extremely manicured course. Featuring precise bunker locations and greens that are exceptionally quick, every approach shot will be faced with an exquisite challenge. The Preserve Golf Club is a private course of just 300 members. 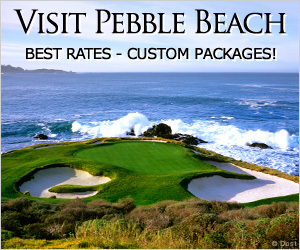 The policy is such that in order play a round you must be accompanied by a member. 13 miles from the center of Monterey.